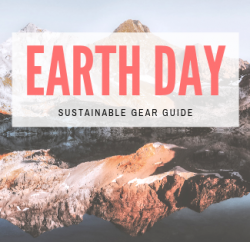 Looking at all the features and tech specs, bells and whistles of different avalanche beacons and transceivers is enough to make your head spin. 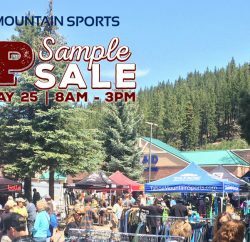 Fortunately, our Pieps Avalanche Beacon reps came to Tahoe to take us through the differences — and I’ll pass along some of that simplified knowledge to you here, hopefully making your avalanche beacon purchase decision a little easier. 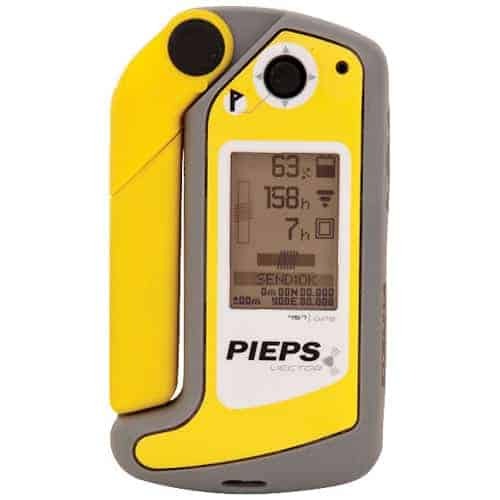 Pieps puts an emphasis on not just range, but circular range — meaning how far away your beacon in receive can be away from a sending beacon (your buddy) before it picks it up — regardless of the direction you or he/she is facing. This is critical because many avalanche beacons report range in optimal conditions, when the antennas are facing each other. And instead of having a circular range, they project more like an oblong oval — much shorter ranges at off angles. Second, Pieps uses strong 3rd antennas, critical for detection not just on a horizontal plane, but vertically for buried transmitters, i.e. what you’re likely using your avalanche beacon for. Let’s take a look at what that means. In this video, a BCA Tracker, one of the more common 2-antenna beacons around, is passed under (we put the sending beacon up high instead of digging in the sand to simulate that vertical dimension) a beacon. Because of the “apple” shape of the signal sent out, you’ll see the beacon think it’s close before the beacon, farther away right above it, and close again just past it. With the 3-antenna Pieps DSP (2nd clip in the video), it reads closest when it’s actually closest. Now let’s look at what’s new for Pieps for the 2011–12 winter season. This beacon is a game changer — due on our shelves some time in January. Not only does it increase its range to 70-80 meters (that’s over 230 feet! ), it brings GPS functionality into the game. That means as it’s picking up a signal, it triangulates the position, bringing you on a straight course to the burial, rather than following the curve of the signal, shortening the time it takes to get to a buried person, where seconds count. You also get all the fun functions of a GPS, like tracking your trip — downloadable into your home computer. And while it’s plugged into your computer, it’s also recharging — no more dumping alkalis! This will be the beacon to have when it reaches the market. 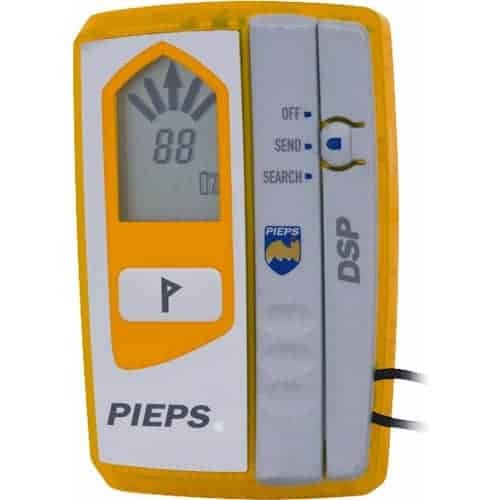 The DSP is the professional standard, perfect for the serious backcountry enthusiast, search and rescue professional or ski patrol. 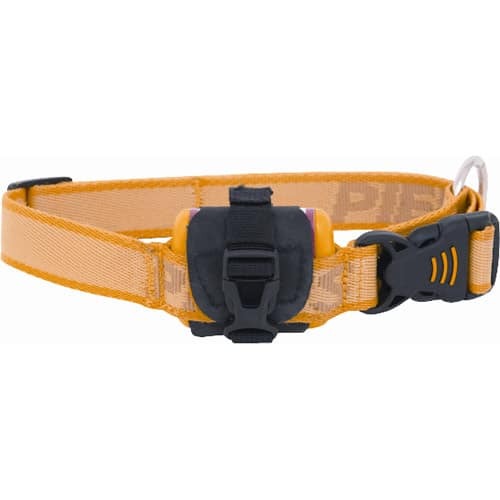 With a range of 50 meters and the ability to distinguish multiple signals in a multiple-burial scenario for coordinated rescue efforts, this is the beacon you want in the hands of your rescuers. The scan feature quickly tells you how many and how far away each signal is and the marking function lets you move on to the next without interference. A frequency measurement function can even diagnose other beacons to see if they’re still transmitting in the right range! The DSP Tour has all the guts of the DSP, but without the scan and frequency measurement functions, at a significantly reduced price. This is where a lot of non-professional backcountry enthusiasts should be looking — excellent send and receive abilities, three antennas, 50 meter range – without the specialized tools of the DSP. If you enjoy backcountry skiing, snowboarding or snowmobiling, start here. This is what a lot of people we know will be carrying this winter. 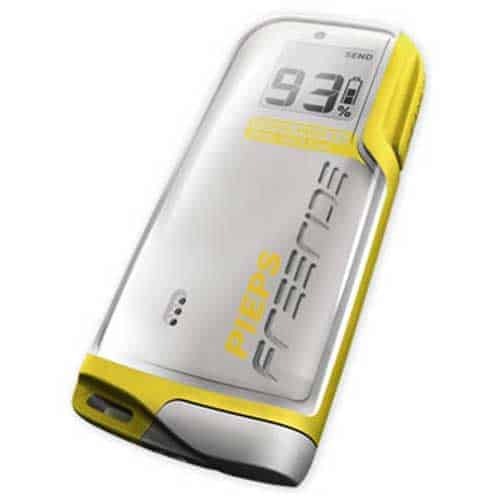 The Pieps Freeride Avalanche Beacon is the smallest and lightest of the group, and the least expensive. As small as a cell phone, there’s no reason not to bring it along. It only has one antenna, however, making it a less powerful rescue tool for people serious about the backcountry. 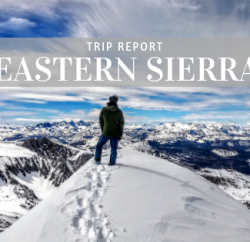 Instead, if you are skiing big terrain in-bounds at a ski resort, occasionally head into the sidecountry of a ski resort or are at the resort on a big snow day, this is the beacon for you. It’s also popular with rando-racers trying to go as light as possible. 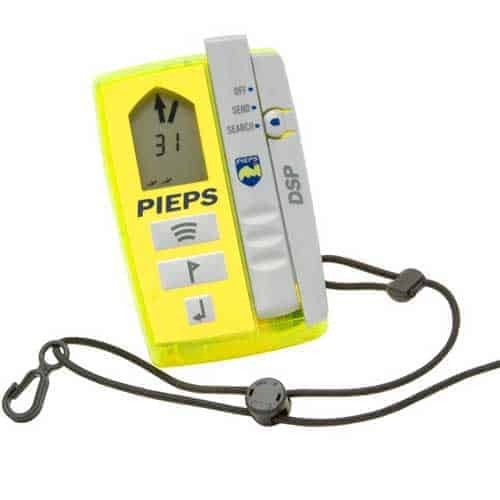 Here’s a clever new innovation from Pieps: a transmitter for your dog or snowmobile. It doesn’t transmit on the same frequency as a normal beacon, so priority goes to buried humans, but the DSP and Vector can switch over once done finding people to finding canine victims or lost equipment carrying this little transmitter. 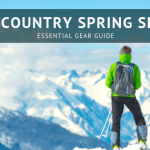 We know a lot of powder hounds who bring along their best friend on backcountry tours, so we think this is a great idea — perfect for working dogs at ski resorts too.